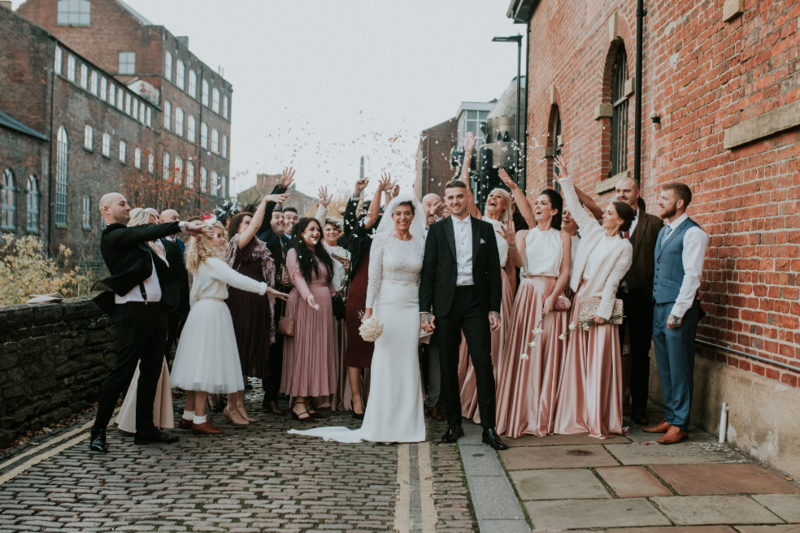 We are so delighted to have been shortlisted for 'Best City Wedding Venue' in the UK Weddings Awards 2019! There are 11 other spectacular venues that have been shortlisted alongside us from all over the UK - and now it's all down to the public vote! We'd love to get your support to help us put Sheffield and The Chimney House on the map so it is over to you! Below is our entry that got us through to this stage! There was two parts to the entry - tell us about your venue and why you should win! Wish us luck and thanks for your support! You have till the 13th February to cast your vote! We came across The Chimney House nine years ago, perched on the edge of a historic waterway. It wasn’t called The Chimney House back then - it was in a sorry state and needed much care and attention. People said ‘you’re crazy - don’t touch it - no one will ever want to use it - whatever you do - don’t buy it” Back then this was part of City of Sheffield that was a no-go area and had a dubious reputation - so we bought it. It’s now one of the most photographed buildings in the City - its iconic 93ft Chimney soars out through the first floor and out of the roof and with the foreground of the ‘mill race’ or ‘goit’ the area recently got hailed as one of the ‘most instagramable places in the UK’. 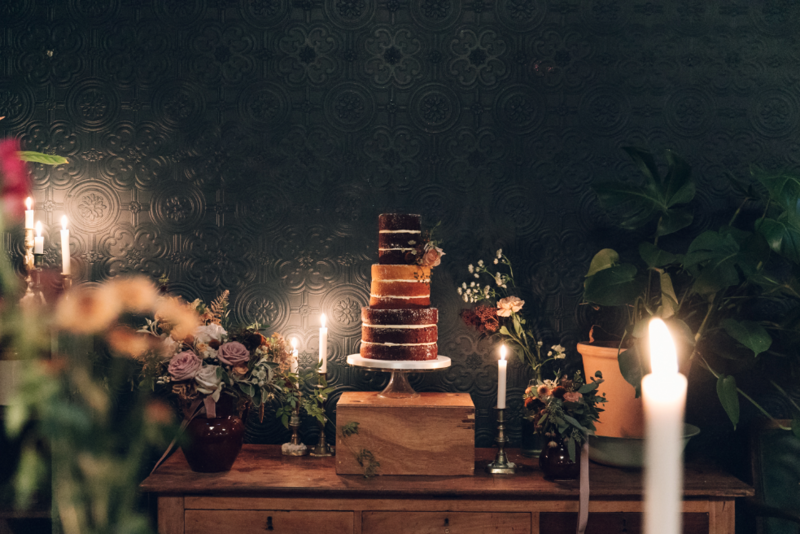 We host some of the most dreamy weddings imaginable - it is a proper feel great place - with red brick walls, log burners, antiques and curiosity in every corner and an original stone staircase connecting The Front Room with the upstairs Living Room and The Feasting Hall. 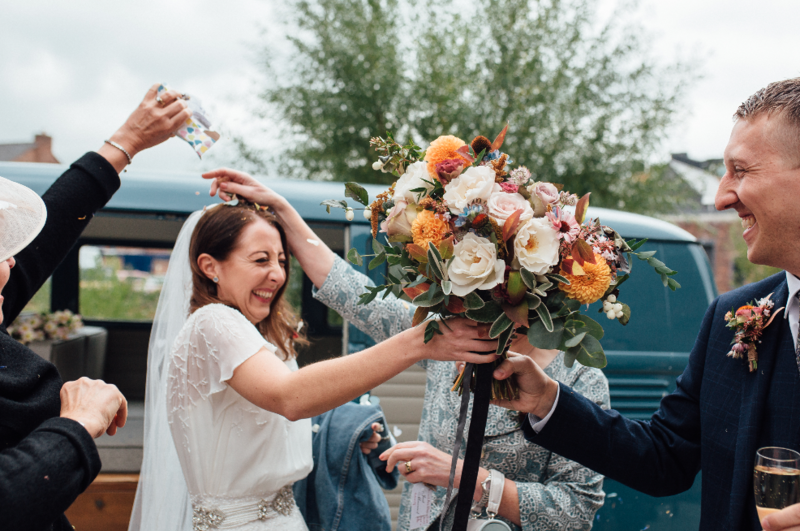 Wedding guests fall in love with the story of Sarah the elephant who was the former resident of the building during the war years - all generations love the stories from the steel rolling mills - a building which helped shape a nation. 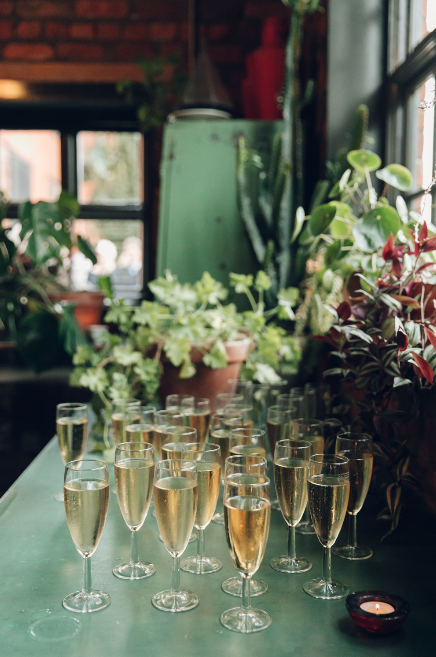 We’ve hosted hundreds of weddings, always on a custom made basis from the menu to the styling - we create a unique moment in time each time for up to 50 guests. We’re pretty small in terms of a Wedding venue, up to 50 seated - but we wouldn’t change a thing! The very essence of the building is pure luxe and we have built our reputation on being known for looking after the tiny details that together make up the most amazing day. 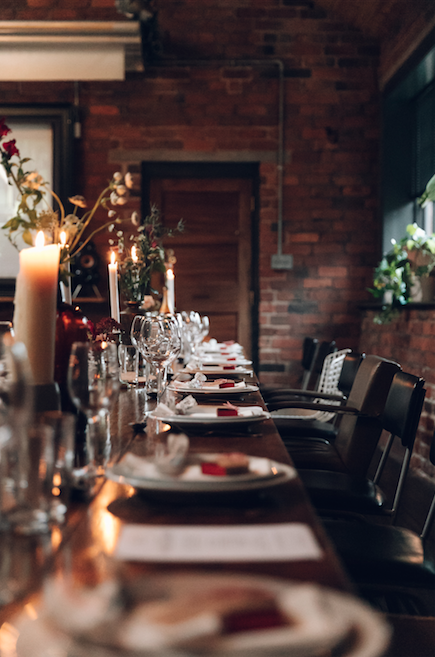 Our weddings take place around a 20ft parquet table made from eight types of antique flooring, our wedding feasts are abundant and plentiful from Sheffield and Yorkshire ingredients made by our in-house chef team, designed to be social, laid back and a taste sensational! Our trademark is as many candles as we can manage to get in the room! We’re also known for our love of green plants and our styling of beautiful stems and blooms.